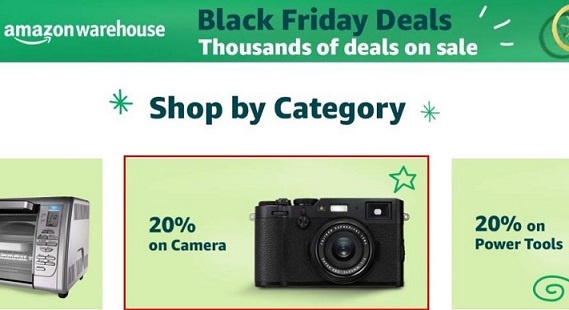 Amazon US has a 20% off on Warehouse items, you can save 20% on some used Sony cameras (click here to see them all). Great deal! Order now if you are interested. In addition, Sony Camera Black Friday Deals 2018 are now live: $1,000 off on Sony a9, $400 off on Sony a7R III, $400 off on Sony a7R II and more.